Take your championship reign to new heights with the WWE® Motion-Activated Universal Championship! This deluxe, interactive trophy item comes with over 20 match sounds and motion-detected response, authentic styling, sleek metallic medallions, a leather-like belt and a one-time adjustable feature to fit around the waist of any child eight years or older. 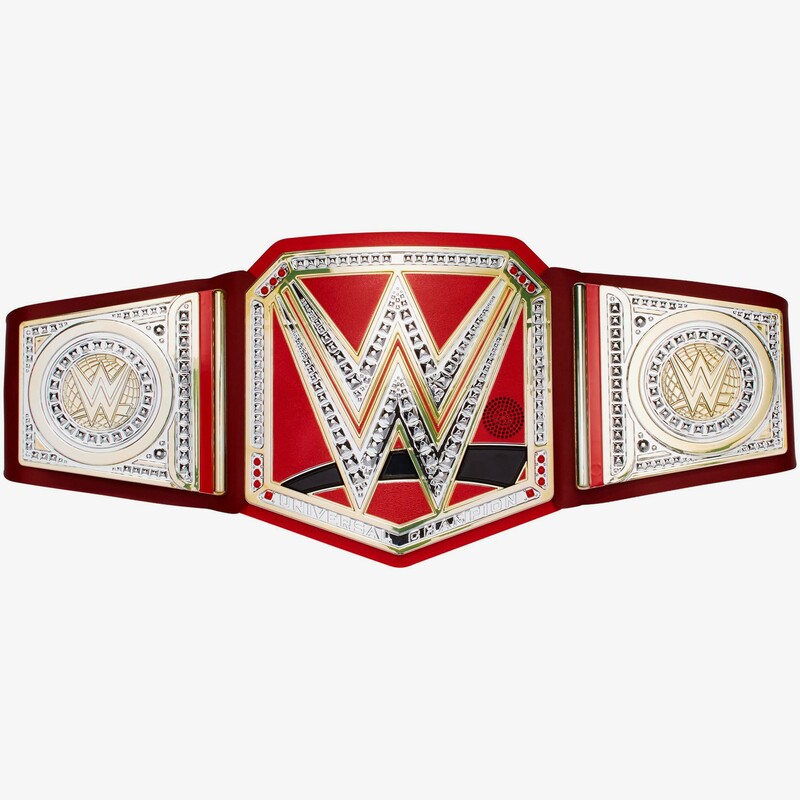 The championship has two button-activated modes: Crowd Mode which activates WWE® Universe cheers and chants; and Match Mode which triggers punching and kicking sounds based on movement. Kids can experience what it's like to be in a real WWE® Universal Championship match! When you wear the championship and lie on your back, a referee 1-2-3 count occurs to simulate a real WWE® match! You have a chance to "kick out" during the count (stand up after a 2-count) to let the action continue. Also, when the championship is placed on its face, it can count and announce a winner to simulate a WWE® Superstar performing a "pin" to win the match. If you "win" the match, the announcer will make it official by exclaiming you have won! 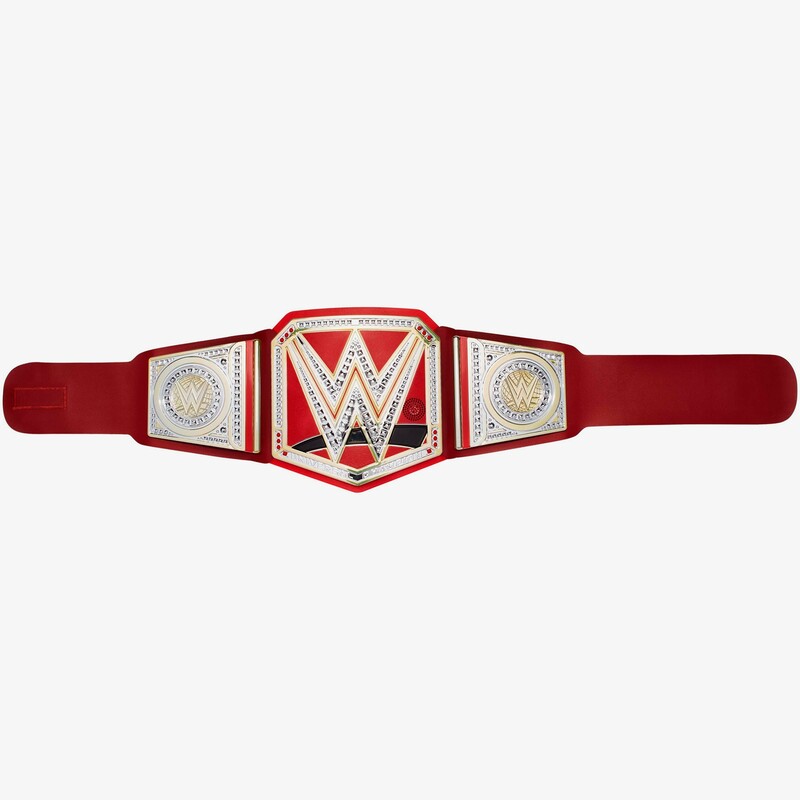 Now kids can really experience what it's like to be a champion in the ring with the WWE® Motion-Activated Universal Championship! Features: WWE® Motion-Activated Universal Championship comes with over 20 match sounds and motion-detected response. Deluxe, interactive trophy item features authentic styling, sleek metallic medallions, a leather-like belt and a one-time adjustable feature to fit around the waist of any child eight years or older. Two button-activated modes are featured: Crowd Mode activates WWE® Universe cheers and chants; and Match Mode triggers punching and kicking sounds based on movement. Does it lets you to play a tables ladders and chairs match? Not this one. The WWE Live Action Interactive Championship does.